In Arizona we spent the 4th of July in my mother-in-laws pool, but now that we are pool-less here in Texas, we have to come up with other fun 4th of July activities for the family. I love this fun idea from Hobby Lobby. 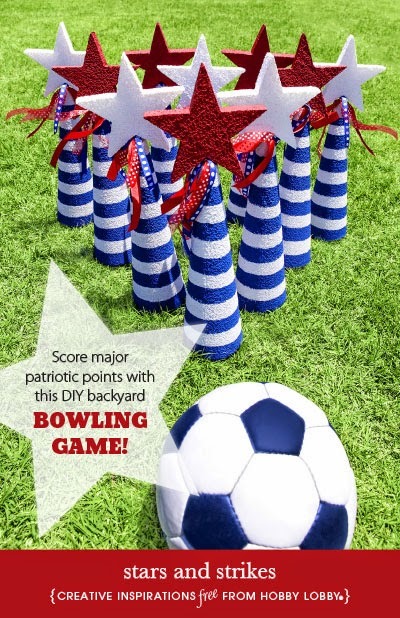 Decorate a few foam cones (you could even have the kids do this part as a 4th of July craft) and set them up for some backyard bowling. You can get the details for Stars and Strikes backyard 4th of July bowling HERE.